Ideal Meal is a cooperative field game all about making a humongous bowl of ramen! 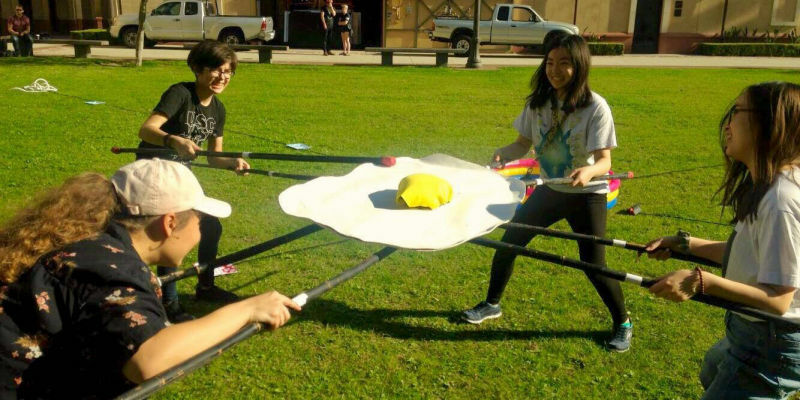 Use massive chopsticks to handle larger than life ingredients with your friends, all according to a wacky recipe. In September 2017, Kai Drayton-Yee and Milo Smiley began working on Ideal Meal for a class project. 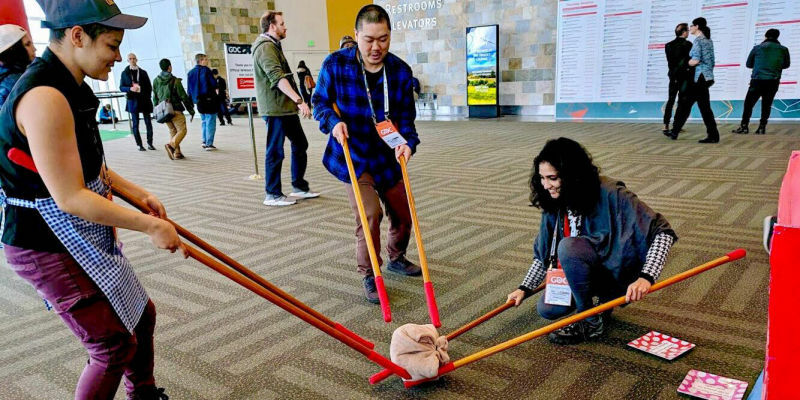 When the project was in its initial stages, Kai talked about making a game about lifting dumplings with oversized chopsticks. It was a joke, but as we turned it over in their heads they realized how much they liked the concept. Thus, Ideal Meal was born. 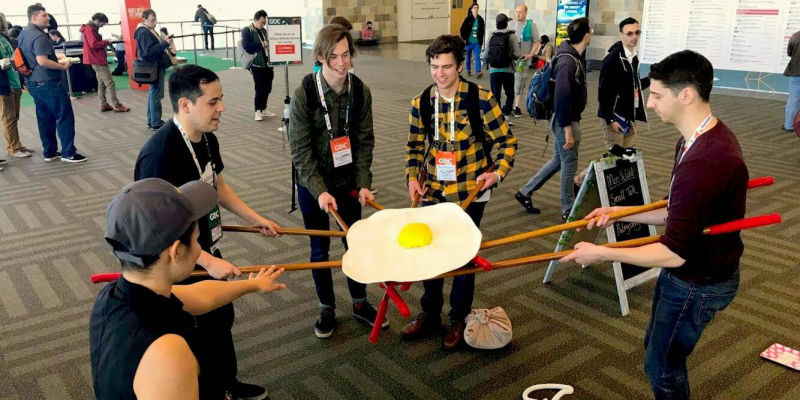 Despite the game’s size, Kai and Milo were determined to make a version of the game that could be shared with the rest of the world’s ramen lovers and continued working on the game past the class it was for, constantly rebalancing and refining it. 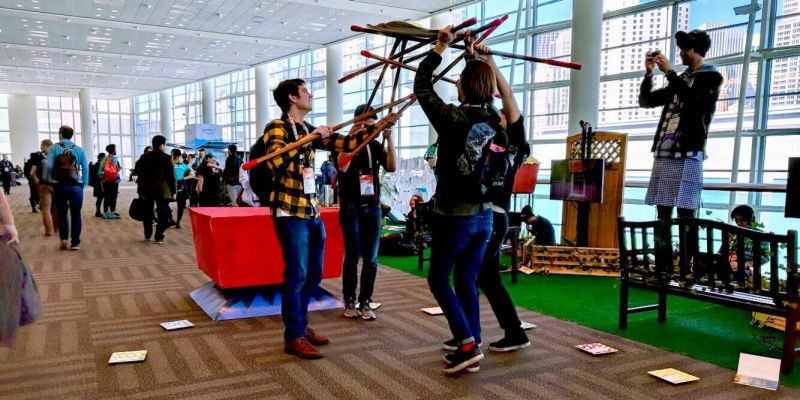 Nicholas Roush was similarly entranced by how much joy this game brought to people, and added his production and business-savvy expertise to make the team’s dream a reality. The first thing on the team’s mind when designing is play. This game has always been about fun, and its development process reflects that. Ideal Meal has been play-tested over one hundred times with hundreds of people, and our team has spent countless late nights together poring over data from these tests to see how we could further improve our play experience. 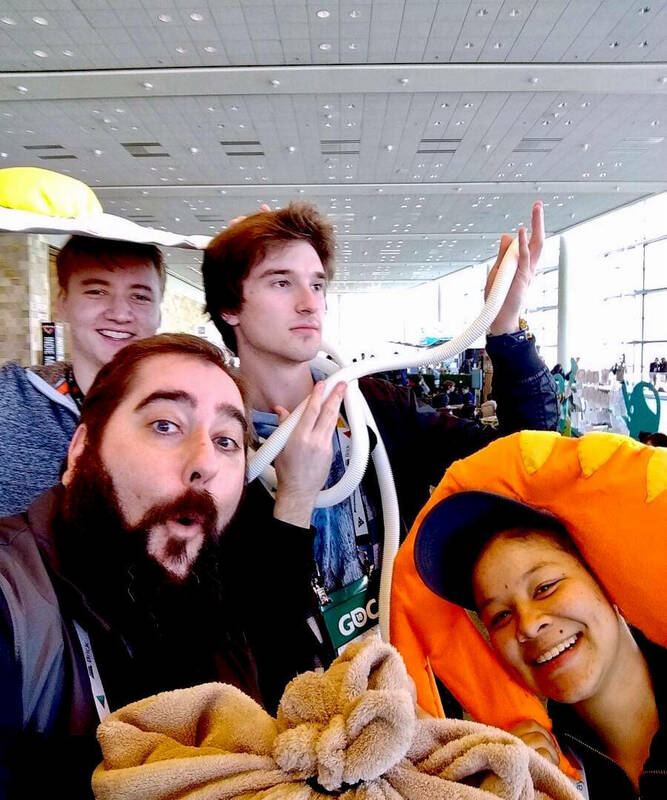 Ideal Meal has also demoed at GDC 2018, The Getty Museum for their College Night, as well as E3 2018 with IndieCade. Shortly thereafter, Ideal Meal demoed at the Santa Monica Pier and spoke on Santa Monica CityTV and at the GDC 2018 postmortem micro-talks. Our aim is to create a game that promotes play with its mere presence, and we strongly believe in the power of games to bring to bring people together. Through our game, we are working to deliver a unique experience with as much fun as possible. With fifteen unique challenges categorized into five different levels of difficulty, change your ramen-making experience at will! Go for an easier recipe for younger or novice “chefs”, or challenge yourself to make a hard-earned ramen bowl. With highly visual rules and only a few key materials, all you need to assemble Ideal Meal is an open space and others to play with! Perfect for friend gatherings, parties, icebreakers, and everything in-between. 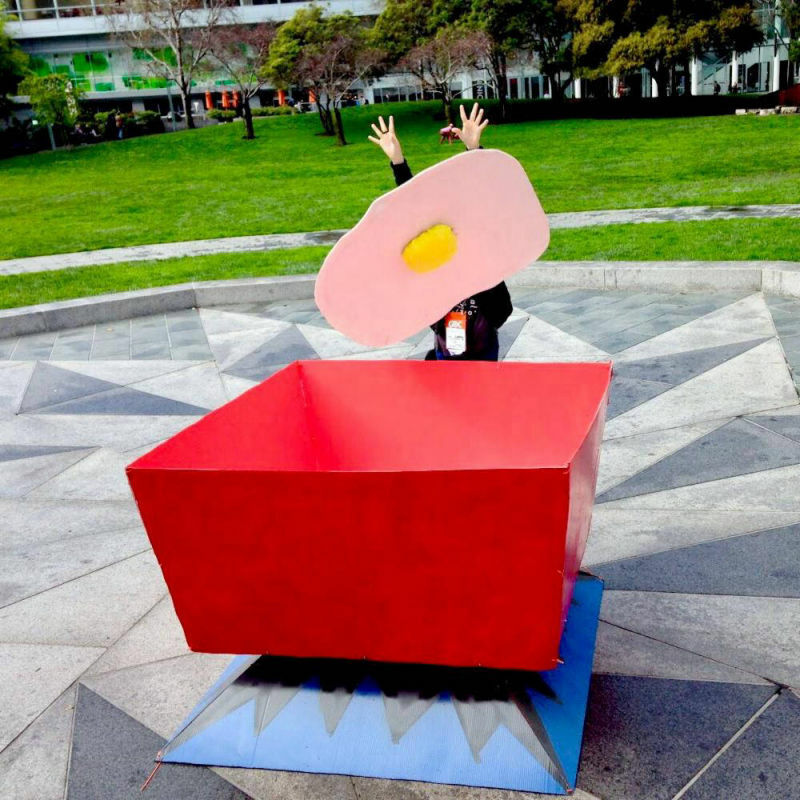 Our devs have handcrafted multiple versions of Ideal Meal to capture a whimsical aesthetic in these larger-than-life ingredients. See for yourself the level of polish that five unique iterations of a giant shrimp creates. 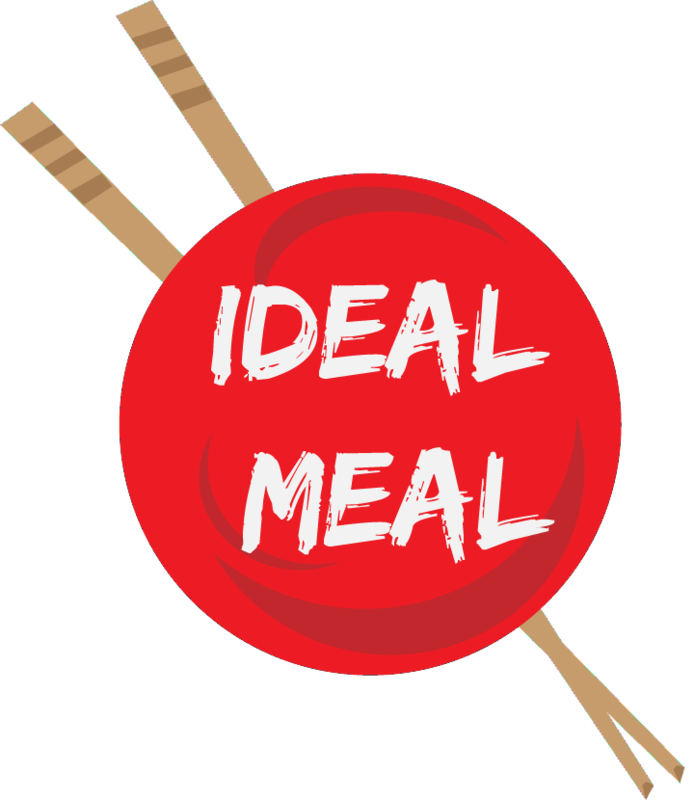 Ideal Meal was designed to be an enjoyable experience for both children and adults alike. With simple rules and an intuitive design, it's never been easier to jump in and play a game! 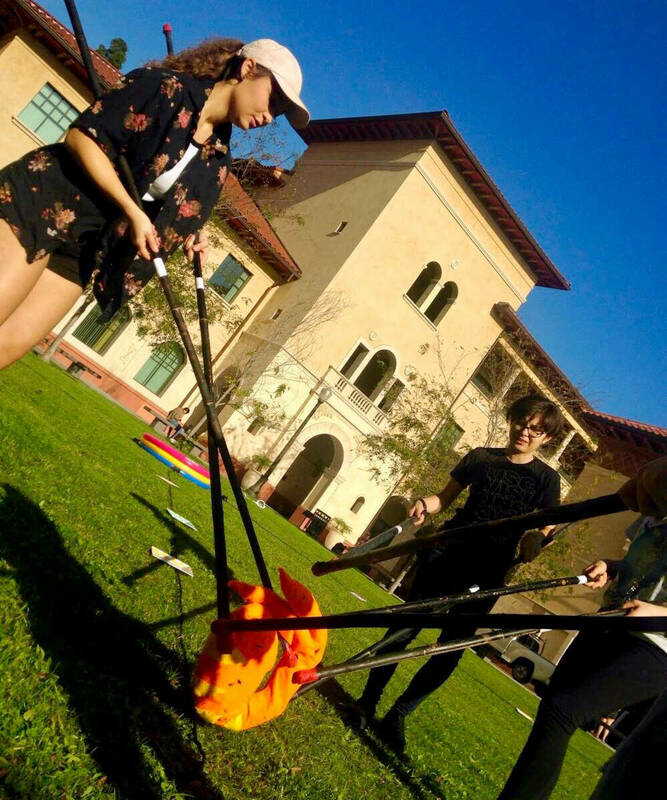 You’ll never find teambuilding like this anywhere else! Ideal Meal wasn’t kidding about making a giant bowl of ramen. 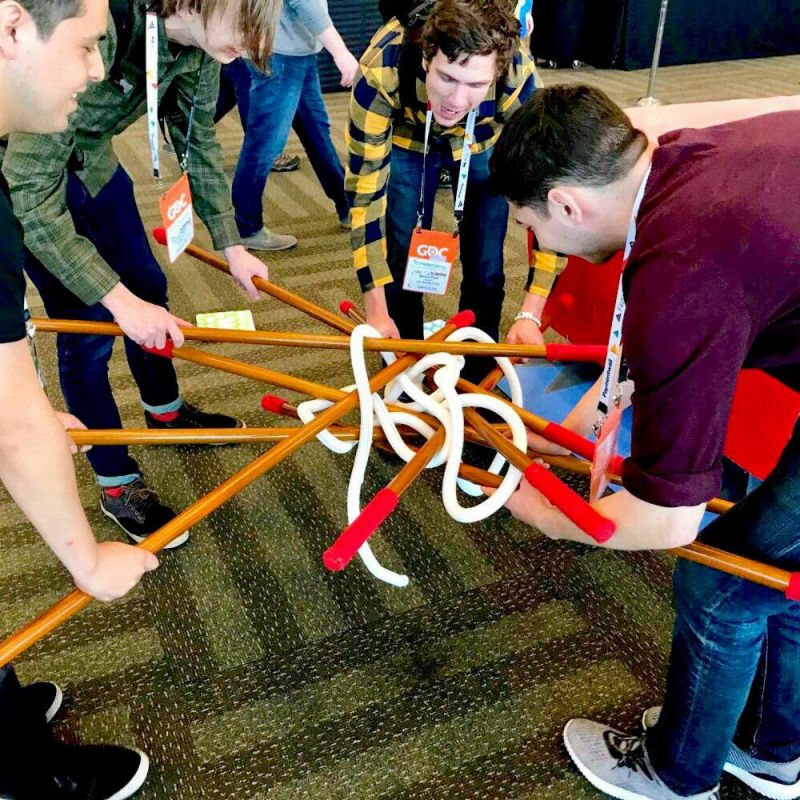 Enjoy the gloriously awkward feeling of handling food with chopsticks in comically large proportions, a sensation which our devs have worked hard to capture. 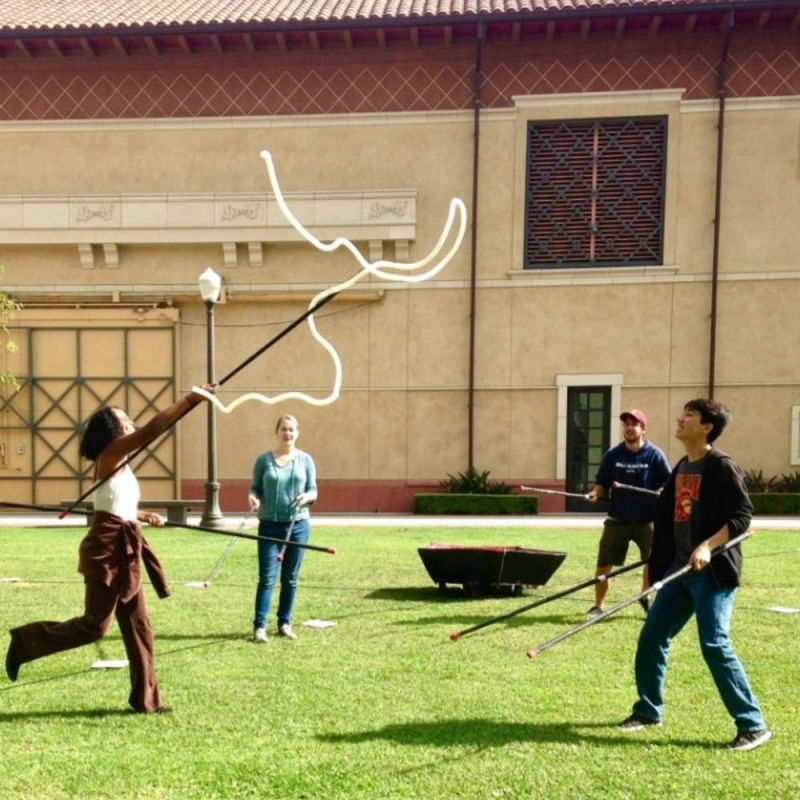 Kai is a game designer and current first year at the University of Southern California studying Interactive Entertainment. She is 19, and the head designer of multiple projects including the physical field game Ideal Meal and leads the Gameheads youth game development program. In her free time, she enjoys crafting cosplay and practicing capoeira. 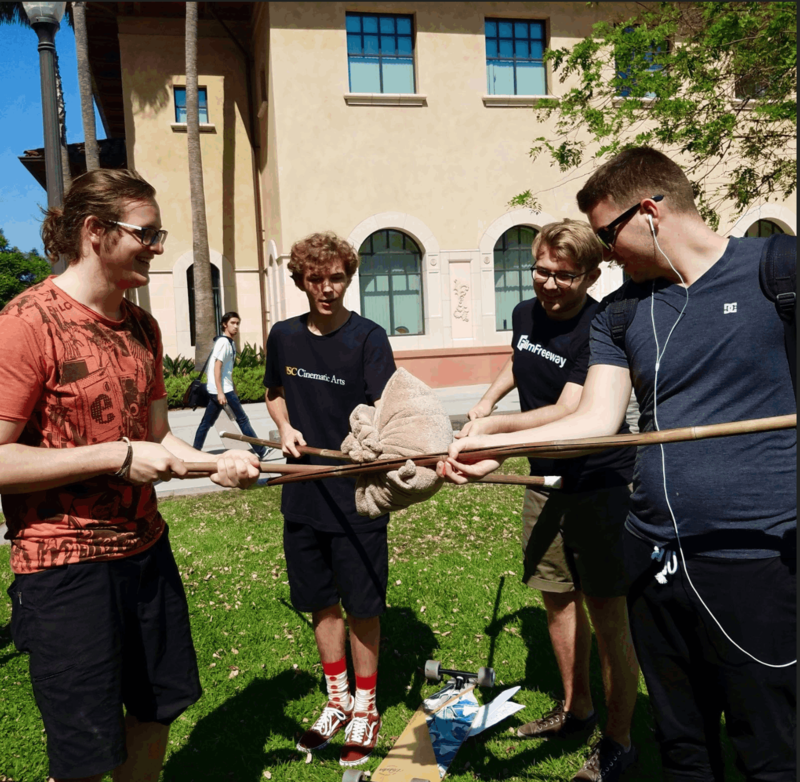 Nicholas is an 19-year old student, currently studying game design at the University of Southern California. He is originally from a lower middle-class family in Omaha, Nebraska. He believes in spreading ideas through games and new media to make the world a smarter and more cooperative place. Currently, he is working as the producer for the field game Ideal Meal, along with other projects. 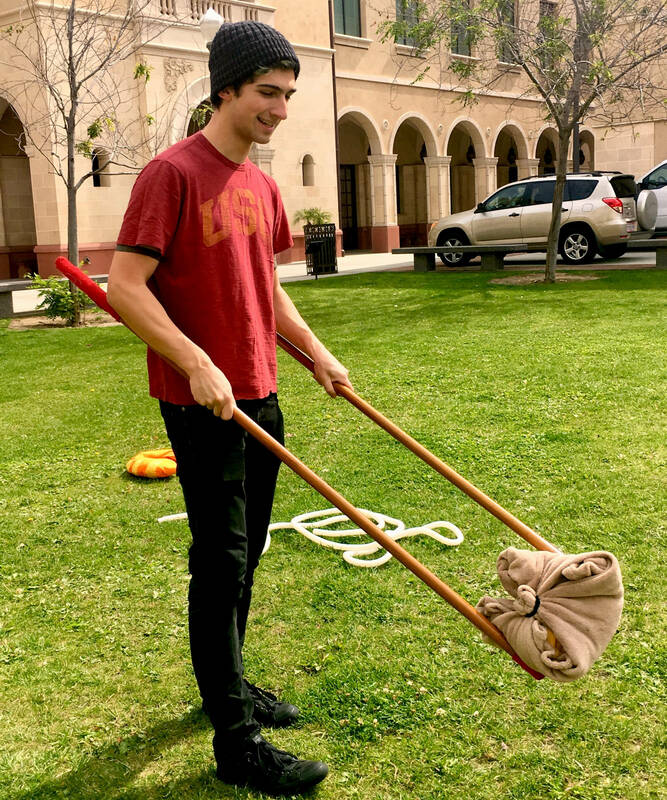 Milo is a 20-year old student at the University of Southern California studying Interactive Entertainment and Game Design with a minor in Screenwriting. He is working as a designer and publicity coordinator for Ideal Meal, among other ventures. 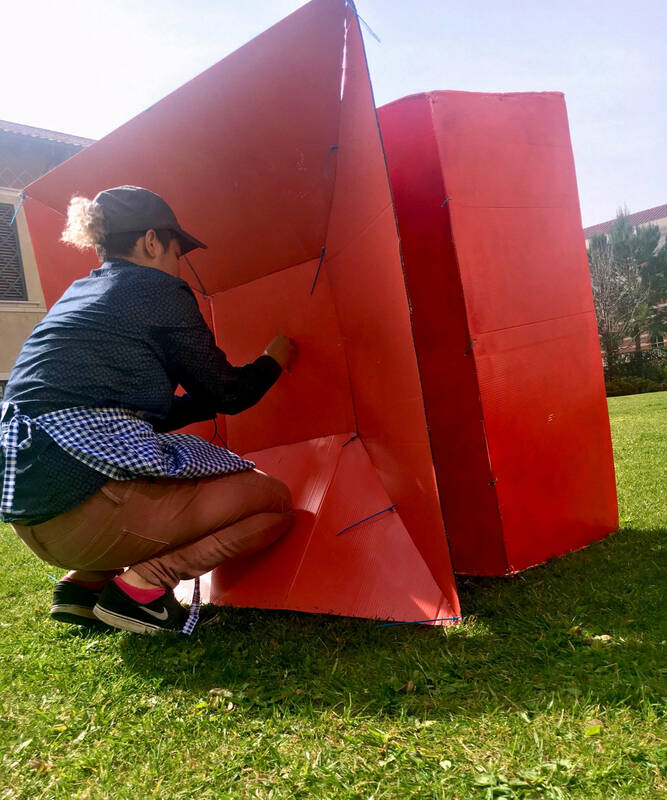 Through his work, he hopes to express the connective ability of media and its power to bring people closer to one another while helping them grow more in touch with themselves.